There was a rant on TV. Something about having to not just watch the ball but the seam as it comes down. The commentator made it sound like the most delicious form of sin. Laziness. Almost as if it should be easy for a guy 22 yards away from an object the size of a fist, hurtling in at 90mph, to pick up teeny tiny threads on its surface. My gramps chuckles as he listens to my rant and poses a fairly simple question. "D'you remember when you were a kid waiting to be picked up at school?" "You'd come home, jump in my lap and tell me how you spotted the car from the end of the street. Big, proud smile on your face because you picked it out from all the other Maruti 800s because you could see the licence plate." I raise an eyebrow. "Yeah. So what?" "You were 12 and you could spot a scribble from that far away. You really think a full-grown professional cricketer wouldn't be able to track the seam of the ball?" I just sat there, with my entire world crumbling around me. Well, not really, but I was made to confront a rather bracing fact. Sunil Gavaskar wasn't a cranky old man making sweeping judgements on live TV. He was objectively, absolutely and entirely right. Disclaimer. I have never seen him bat. My first and thereafter only experiences of him were a consequence of forgetting to hit the mute button. And they have often left me in prime form to model the sweat-drop emoji. Nitpicking. He can't stand it when a player doesn't tuck his shirt in. What does that matter in cricket? Or in life? It's personal preference and questioning it is at best unaccommodating and at worst unwise. Flip-flopping. One day he'd tip Virat Kohli to become India's best captain ever. Later, he'd question team practices. Recently he lamented how the team management no longer invites former cricketers for a little how-do-you-do. Double-standards-ing. He says it's improper for India players to skip domestic cricket, and yet he threatened to walk out on an international match when he was incorrectly given out. 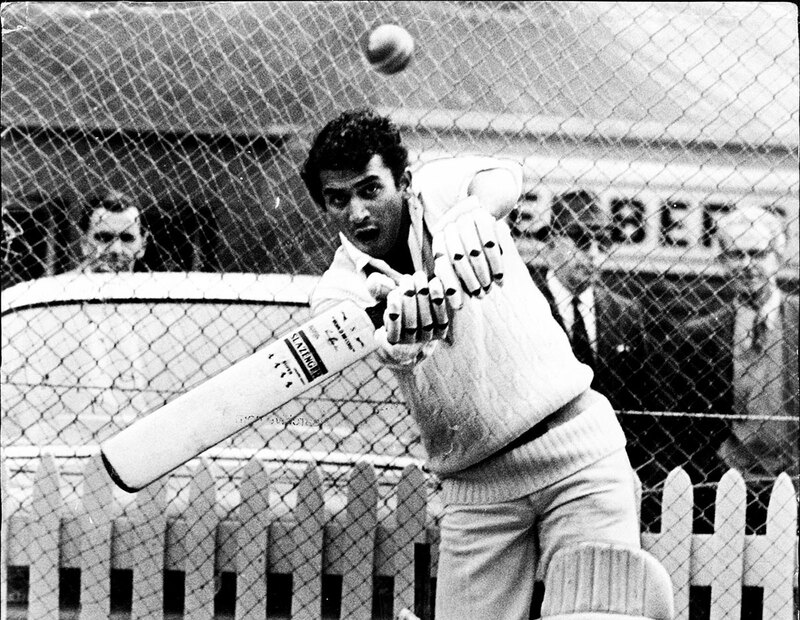 This is the Gavaskar I knew. Not the one who debuted in the West Indies and defied some of the most fearsome fast-bowling attacks in history. Not until Gramps made me watch old videotapes of him playing. His balance at the crease was striking - almost as much as the lack of it when he's in the comm box. There was no fear in his movements; nothing that betrays any sign of second thought, even though his job was to watch men who were taller and stronger come thundering in to take him out. There is madness in that. There is bravery in that. "This is it," Gramps says, excitement clear in his voice. "This is the best part." Malcolm Marshall is running in. Round the wicket. The ball is short. It hits Gavaskar. Flush on the head. "Don't worry," Gramps says. "He's strong. Could take a million of those and not flinch." There is pride in his voice now. I turn to watch what happens next. 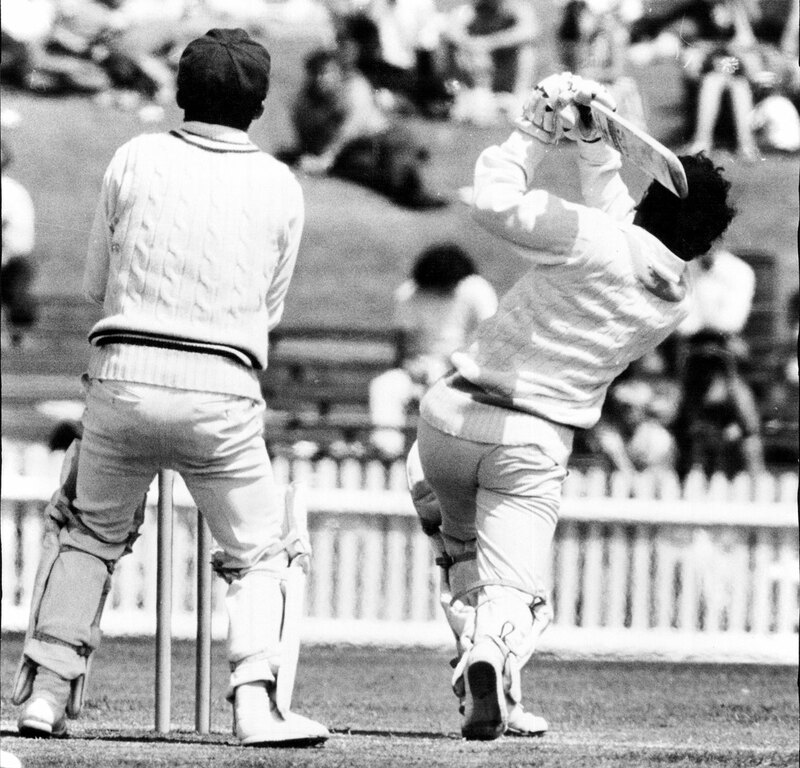 Gavaskar takes strike. He wasn't treated on the field. There was barely a break in play. He's back. He's ready. He hits the next ball for four down the ground and raises his bat for fifty. "Why can't he engage me like this when he's on commentary?" I groan. "Seems like you rarely let him," Gramps replies. 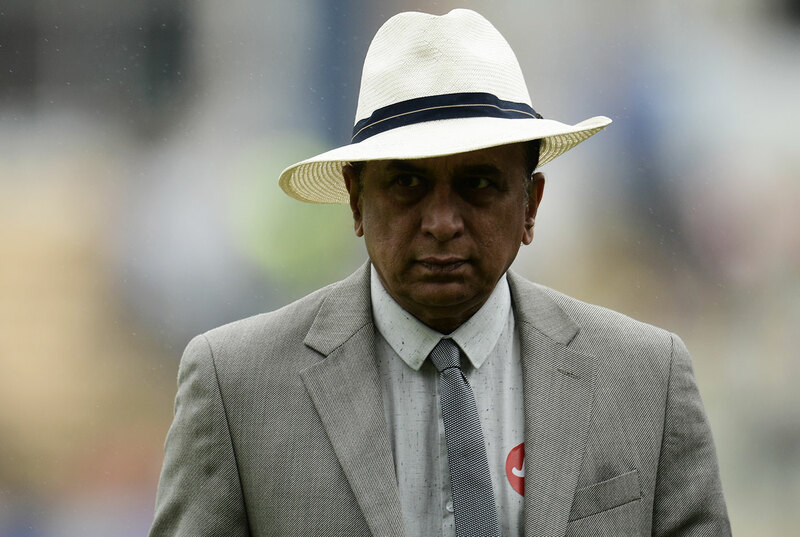 Reconciling Gavaskar the batsman with Gavaskar the talking head is exasperating. They should really be two different people. The cool uncle who brings gifts every time he visits and even helps cover for you when you sneak out of the house, and the lame uncle who insists on crashing your hangout sesh, recycling old jokes, and basically ruining everything. "Why do you expect so much of him?" Gramps asks as the video ends. "Because he's played the game. He's done it all. He's got 10,000 runs. And he makes the same calls that I do, sitting on the couch with you - but he's out there, getting tons more money and hopscotching around the globe on someone else's dime." I toss out an expletive and Gramps scowls. "Five laps. Now." Gavaskar is in a line of work that, I think, is losing some of its credibility because it has decided not to mind expert analysis taking a back seat to generating and sustaining impossible levels of hype. Have you noticed how many times these people talk about Kohli just watching the ball? It's as if he's doing something that no batsman in history has ever thought of doing; as if others just walk onto the field and promptly blindfold themselves. Commentary like that, simply put, is a waste of talent. Gramps is chuckling away as I relay this tale. "So you want a commentator to add value to the cricket you're seeing." "What about calling people out?" "Gavaskar called India out when they chose not to play a practice game in South Africa. And later the team itself admitted it was a mistake. What did you think of that?" I hesitated for a moment. "Yeah. I guess that was pretty cool." It was more than pretty cool considering how much clout players have nowadays. Criticism like that isn't always well received and the repercussions can be significant. "But he's Gavaskar. He should be doing more." Gramps smiles at me and says in a very leading tone of voice, "Do you remember how you react every time Kane Williamson gets out?" "It's always, 'He should have been more careful.' 'He could have made a hundred.' 'He... should have... done more.'" "Oh don't you dare, Gramps..." I knew where this was headed. I'd walked right into it. "We're only ever hard on the people we love, kid, and it looks like you love Sunny." It has been a month since that talk with Gramps. My first hero. The man who turned me onto cricket when he screamed like a ten-year old as he watched Adam Gilchrist top-edge Shoaib Akhtar for a six in the 1999 World Cup. He's been ill recently. Suffered through two surgeries in the space of three weeks. Even had his heart stop beating one night. And yet, even in that state, he keeps performing miracles. And this was one of the best: he found a way to make a millennial change his mind.